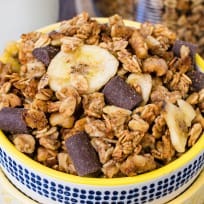 This Peanut Butter Banana Chocolate Chunk Granola is perfect for breakfast or snacking on in the afternoon. Pour it over Greek yogurt for a totally delicious start to the day. 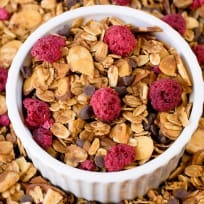 Raspberry Chocolate Chip Granola is probably going to be your new favorite way to breakfast. We’re not tryna’ brag, but it’s pretty incredible. Granola is one of our favorite foods any time of day. 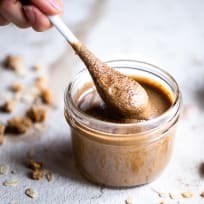 Grab some of our best ways to make and use it and be ready to snack happy! Homemade chewy granola bars your family will love just as much as the store-bought version. Chewy, chocolatey, good-for-you granola bars, made at home in minutes! 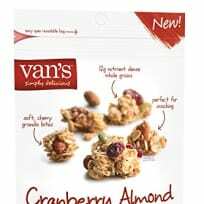 Gluten free Almond Joy granola has all the same flavors of your favorite candy bar – but it’s a darn sight better for you. And perfect for breakfast. This apricot granola is crunchy, spicy, and just right for topping yogurt parfaits. Or eating by the handful - you choose. 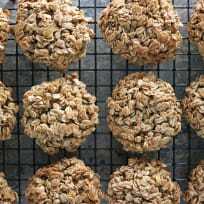 Oatmeal raisin cookie granola bars make a delish breakfast on the go, or snack anytime. 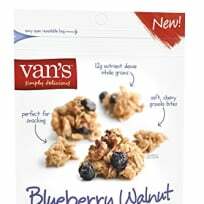 They're great for summer, but they do double duty as lunchbox treats when school starts again too. No bake granola bars that are naturally gluten free. Your lunchbox couldn't ask for more!